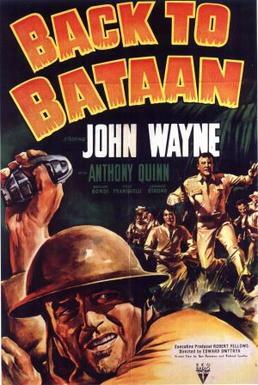 It seems so obvious when you think about it, but a majority of war films are told from one side or another. Sure, there are exceptions, like The Young Lions, The Longest Day, A Bridge too Far — but there certainly aren’t many. One of the best is a film that’s rarely mentioned as a classic war film, a favorite of mine too, 1969’s The Bridge at Remagen. It’s March 1945 and German armies are in full retreat back into Germany, Allied forces nipping at their heels. The German High Command has ordered all bridges over the Rhine river blown up in hopes of slowing down the Allied advance, but one bridge at the town of Remagen remains. A German general (Peter van Eyck) sees that 75,000 German troops will be cut off if the bridge is destroyed, and instead sends a close friend and fellow officer, Major Paul Krueger (Robert Vaughn), to hold the bridge as long as possible. Just miles from the bridge, an armored American infantry unit commanded by Lt. Hartman (George Segal) is leading the charge to Remagen, hoping to catch the Germans napping. After weeks at the point, Hartman’s men are exhausted, but pressure from HQ keeps the men going, hoping to end the war as quickly as possible. All roads lead to Remagen for both sides. 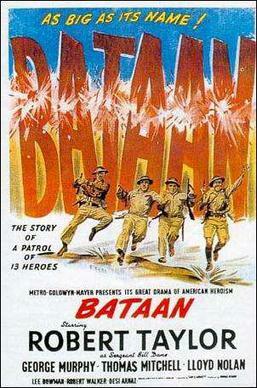 One Memorial Day I don’t know how many years back, I stumbled across this WWII movie on Turner Classic Movies. I’d never seen it, much less heard of it. It’s based on a real WWII battle — read more HERE — but because of a general lack of star power doesn’t get the attention/credit it deserves. From director John Guillermin, ‘Remagen’ is a product of the times as America was fully involved in Vietnam in ’69, a dark story about the closing days of the war in Europe. It doesn’t often get the attention of its many 1960’s MGM brethren, but it should. Where this reflects the times is the portrayal of a war near its end, the soldiers deteriorating with pure exhaustion. The end of the war is close, and the Germans are turning on each other. Vaughn’s Krueger is promised a defense that doesn’t exist and reinforcements that can’t be moved. The SS and Gestapo run rampant, ruling with an iron fist. The ranks are thinned by deserters, and refilled with old men and young boys. The Americans are always on the move, pushing themselves and the Germans to their absolute limits. They’re bone tired but they have no option but to follow orders. The rules of war are gone to a certain point, and survival has taken priority over everything else. It is a cynical story at times, the effects of war wearing men down on both sides. Frightening at times to see the portrayal of the closing days of the war presented in a realistic fashion. The portrayal of the opposing forces is seen through the eyes of two junior officers, both with different missions but driven to the same point. Segal is perfect as Lt. Phil Hartman (no relation to the SNL star), a company commander at his wit’s ends when it comes to commanding. He’s trying to protect his men as best as possible, but HQ has their objectives. Guest star E.G. Marshall as an American general callously states “100 may die, but 10,000 will be saved.” An honest statement in the big picture, but when you’re part of the 100, does it matter? Across the river is Vaughn’s Krueger, a career German officer — not a Nazi — disobeying orders but still trying to save as many men as possible. The two actors don’t share any scenes together, but there is a bond between them nonetheless. They may be on opposite sides of the war, wearing different uniforms, but in many ways they’re the same. In the honest portrayal of a war in its closing days, both sides aren’t shown as particularly heroic. Ben Gazzara is a scene-stealer as Sgt. Angelo, one of Hartman’s men who is a good soldier under fire but rubs the Lt. the wrong way by picking clean the bodies of dead German soldiers. Gazzara is so good in the part that you forget at times how despicable his actions are. Forced to kill a Hitler Youth teenager, he almost snaps when confronted. 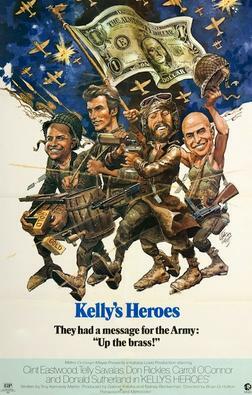 All of the Americans aren’t shown in a positive light, including Hartman’s unit which includes Bo Hopkins, Matt Clark, Robert Logan, Steve Sandor, and Tom Heaton. Bradford Dillman‘s Barnes is a good officer but he has no idea how to interact or treat his men. The Germans too are at each other’s throats. Look for Hans Christian Blech in a solid supporting part as one of Krueger’s officers. Bouncing back and forth between the American and German perspective could have caused a disjointed story, but that’s never really a problem. Instead, it drives the pace at a lightning speed as the Germans fall back, the Americans pushing forward. The action scenes are well-handled and nicely choreographed starting with the filming locations in Czechoslovakia where a bridge similar in appearance to the actual Remagen bridge was used. There is an epic scale to the battles with the end result possibly being an earlier end to the war, but on a personal level we see Hartman’s men ordered across a bridge fully expecting it to blow at any moment. Full of tension from the beginning, the battle sequences are aided by Guillermin’s camerawork, right there on the ground with the foot soldiers. You always have a sense of where the battle is, where all the men are stationed. A highly underrated WWII story. Elmer Bernstein‘s score (listen HERE) borrows from some of his more notable musical scores, and at times sounds more like a western theme, but for the most part it’s good. An all-around solid look at the closing days of WWII and one of its key engagements. Highly underrated, well worth a watch.